As a Advanced Color Consultant, Mary Pat looks forward to working with you to provide personalized skin care and color consultations in a friendly, relaxed atmosphere. She is happy to come to you or invite you to her home or studio for a custom consultation. Celebrating her 10th year with Mary Kay, Mary Pat prides herself on excellent customer service, immediate delivery and working to exceed your expectations! Why not let Mary Pat help you to achieve the healthiest skin you have ever had or find the perfect everyday or glamour look for your next event? – 5 Skin Care lines – there is one to meet everyone’s need! 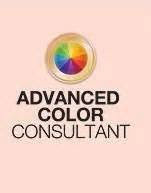 – Custom color consultations with on-trend mineral based products proudly made in the USA!